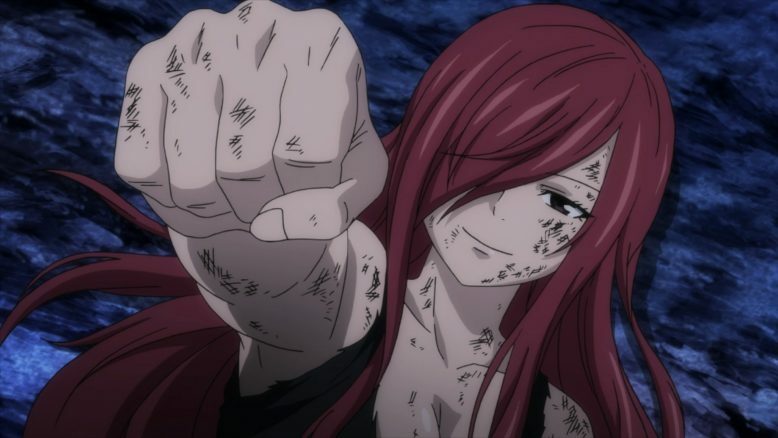 For the second week in a row, I’m able to confidently say that this week’s Fairy Tail episode was pretty darn great. There used to be a time when that wasn’t such a rare thing to say, nor was it noteworthy, but as we approach the end of this franchise’s main story, I have to say its reassuring to be able to still say it. The thing that stands out to me once again this week, or rather, even more so than last week, is how focused this episode was. 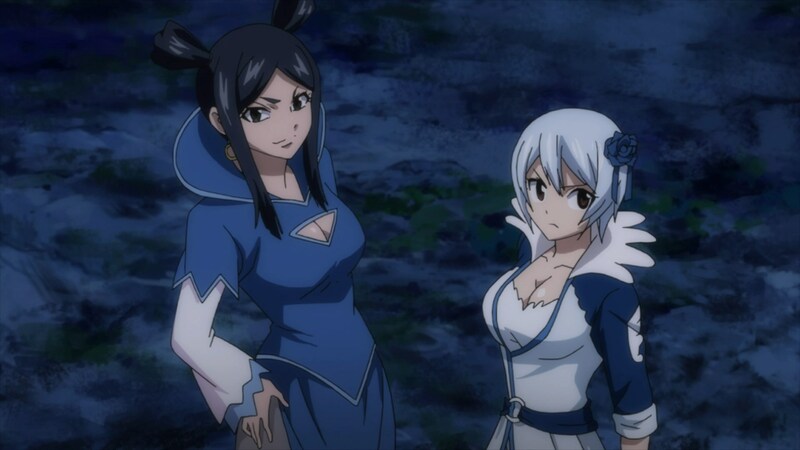 This was Fairy Tail’s greatest strength way back in Season 1, where it would focus on one particular main idea, per episode. Despite how simple and obvious it sounds, only the best anime adaptations can ever really do this, and do it well. Most of the time, anime adaptations like Fairy Tail are adapting either a weekly manga, or a monthly manga. In either case, there’s either too much or too little content to fit into an episode. So when Fairy Tail the anime series was or is able to provide great paced episodes, it really is something special. And honestly, despite my gripes with season 2, for the most part it was the animation, not the pacing that I had huge issues with. This season, however, has been a little bit more rough around the edges. Last week, however, we got back to the “one central event/story point” per episode format, and I think its serving the show really well. 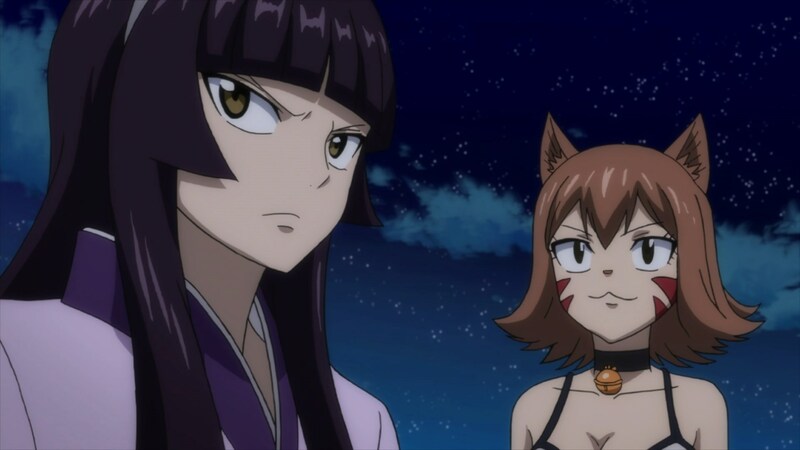 I enjoyed how this episode’s starting point was based around giving a little bit of an epilogue to Erza’s battle with Ajeel. 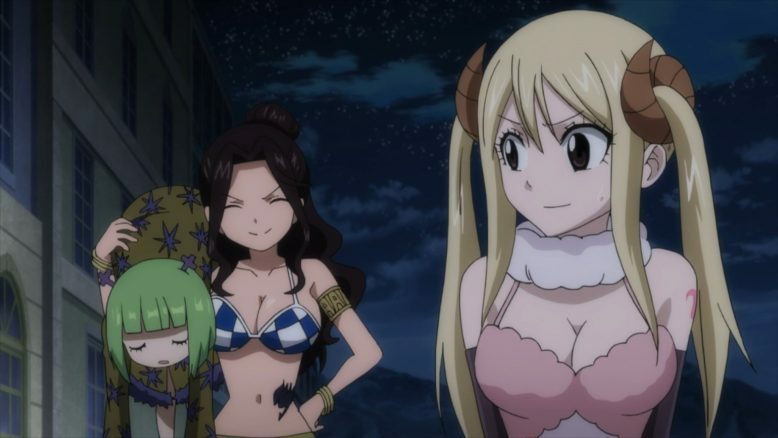 She had won sure, but it thoroughly knocked her out of commission, requiring Natsu and Wendy to come to her aid. With that done, the show shifted gears and focused on the other groups that we had just cursorily seen. And again, while Gray and the rest certainly had a role to play, it was more or less entirely Freed, Bixslow, Evergreen and Ichiya’s story this week. They came face to face with their opponent in this first wave, which was a Machias known as Wall Eehto. Now, I will say that I’m too sold or thrilled on the whole Machias thing. I’ve often complimented Fairy Tail on how its meshed and merged different cultures and ideas. 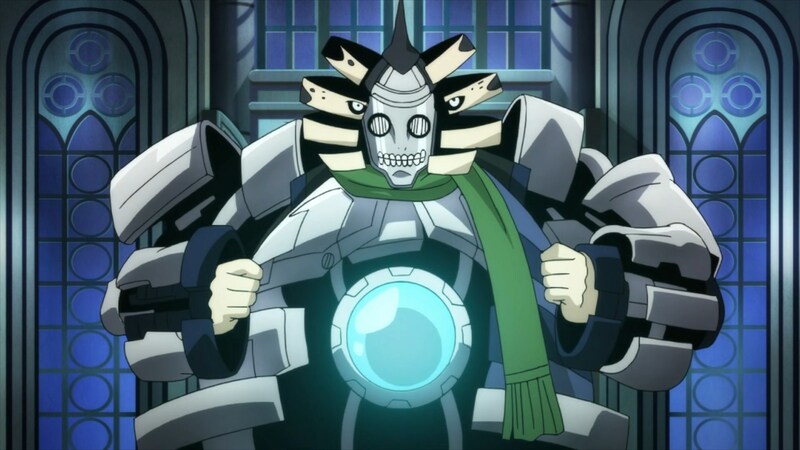 The problem, however, is that technology and sci-fi just doesn’t fit into this world that Mashima-sensei has crafted. The whole Machias robot thing feels lazy and kind of cheap honestly. 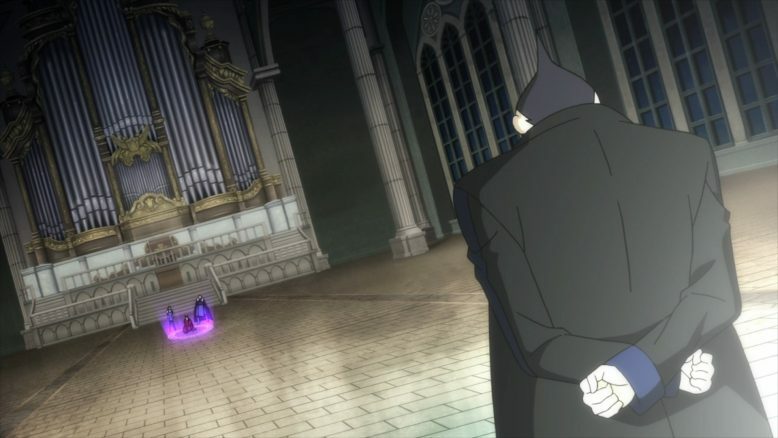 It would’ve been a lot cooler if this Machias or whatever, was actually a Homunculus or some kind of alchemy based thing. Or heck, it could’ve been Lacrima powered or something. I dunno, I just feel like the show and its world hasn’t really given us a kind of place where we’d see robots and machinery on this kind of level. So while I appreciated the power Machias Wall had, which was identifying and targeting an opponent’s weakness, I can’t say I appreciated the whole “robots and electricity” thing. And yes, surprisingly, Ichiya actually came in and made the episode kind of emotionally powerful. Which is honestly a REALLY big deal, because until this moment, every time Ichiya has come on screen, I’ve been either grossed out, or annoyed out of my mind. Ichiya as a comic relief character, never really worked for me personally, and its nice that at the very end, he got a few moments to just act cool and be likable. 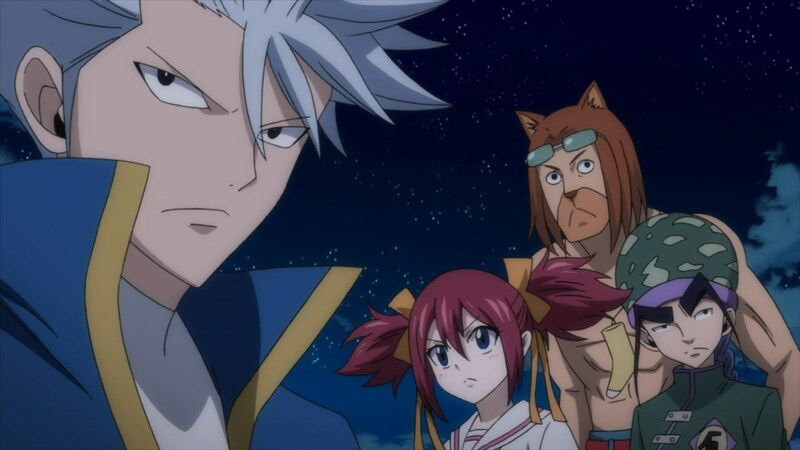 Heck, even his little funny story about being dragged around by Fairy Tail was kinda funny. 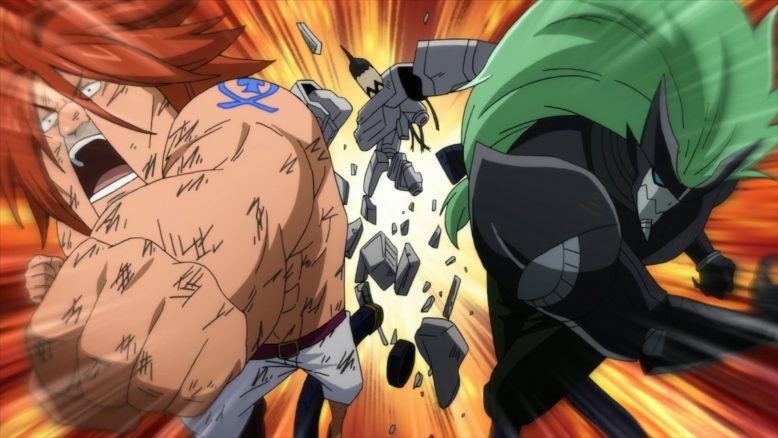 But of course, the real meat of the situation was certainly his relationship with Laxus and the Rajinshuu, and how they each protected one another. Not to mention, Ichiya using his ship to shield Fairy Tail, and then calling in the cavalry, in the form of Fiore’s other guilds. The other guilds appearing was inevitable, but the way they were introduced here, with Ichiya leading the charge and echoing how Fairy Tail was family to the rest of them, well, that was exceedingly cool. 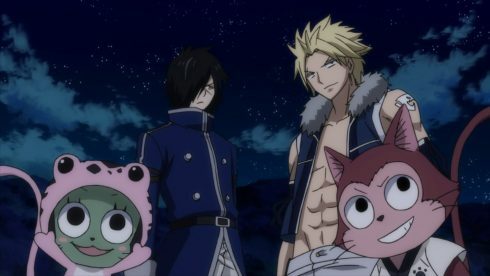 That sort of comradery and brotherhood is one of Fairy Tail and shounen’s defining traits. Its nice to see one of the shows that’s done the whole friendship and comrradery thing so well, do it justice once again. Now, while the Machias is defeated by both Freed and Ichiya near the end of the episode, it is revealed that the real Wall is actually elsewhere, still coming. So for as happy as Fairy Tail is at having survived the first wave, they’re far from out of the clear yet. 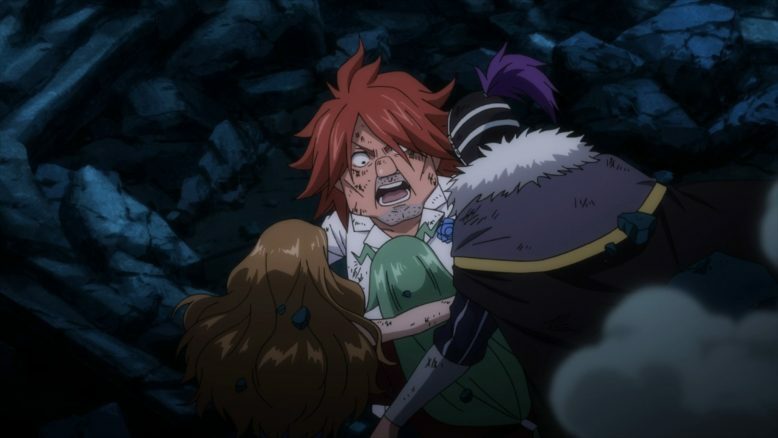 I will say, it was surprising to see Lucy and Cana basically just bonk Brandish on the head and take her out so easily. 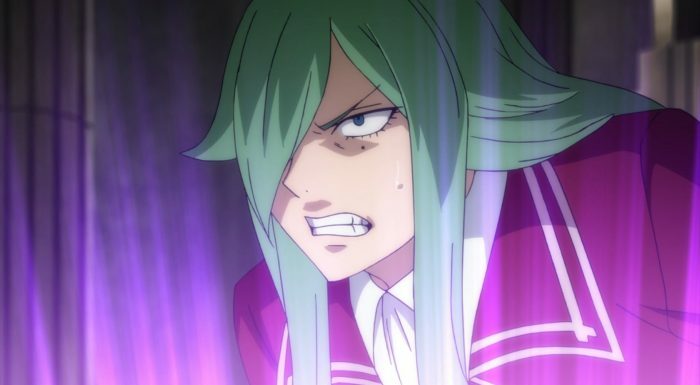 That said, it is consistent with Fairy Tail’s whole “powerful characters can have unexpectedly mundane weaknesses”. If Dragon slayers can get motion sickness to the point of crippling them, then Brandish being utterly useless thanks to her allergies definitely gels logic wise. It seems like we’re going to have to wait a bit longer to see what her deal was with Lucy’s mother. The one thing that is worth noting, however, is how dumb it is that Lucy and Cana decide to bring Brandish over to their guild. Brandish isn’t the sort of person you want to bring to your command center, and I can guess that this move will cost Fairy Tail dearly later on. And that really is it for this week’s episode. I don’t want to talk about the preview too much, because well, there could be people who don’t view those. Of course, I’m not entirely sure how many other people are left that actually only watch the anime and who haven’t already read the manga. In any case, the one thing I will say, is that it seems like the show is heading towards a sort of misdirection next week. Its too early for a certain event to take place, so we’ll just have to see what kind of curve ball Fairy Tail throws our way.